When guests aboard the International Space Station look for a place to escape for a little rest and relaxation, options can obviously be limited. The “Cupola” was built in 2010 to provide astronauts with the best view possible while operating the ISS’s Mobile Services System’s robotic arm (the Canadarm2). The Cupola's seven bay windows allow for an incredible view that's become a favorite for photographers aboard the ISS. 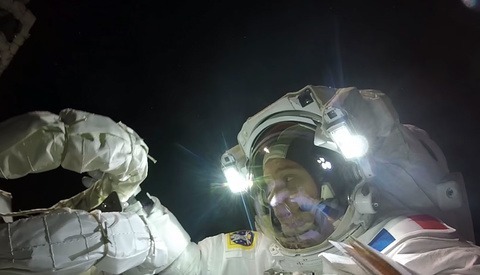 Russian Cosmonaut Andrey Borisenko brings us inside the Space Station’s observational dome with the first 360-degree 4K video of Earth from within the International Space Station. Borisenko says: "this is the place where any astronaut or cosmonaut that visits the ISS wants to spend all their free time... though actually, there isn't really that much free time here." 360-degree videos are becoming more popular thanks to manufacturers such as Nikon releasing 360-degree cameras to the consumer market, allowing photographers to capture the world in a way that has opened the door for virtual reality. 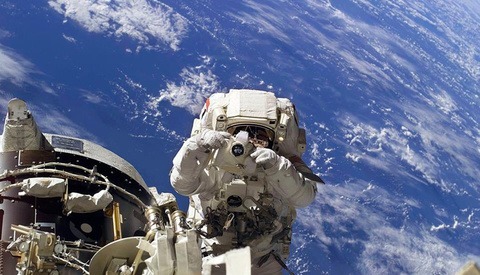 Some of the most stunning photographs taken aboard the ISS have been shot through the Cupola’s observation windows. It's amazing what technology is able to bring to us! 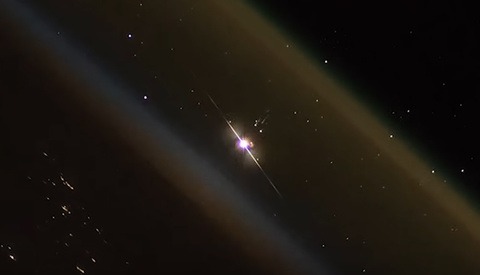 To be able to look around the international space station as if you were there. Not just see a picture or guided video is absolutely incredible! I totally agree with you. How many Nikons can you spot floating around?